Summary of the Canarian super-grom William Lujan (16 years old), filmed during the winter of 2016/17. From Alisios Mag. Venezuelan shredder Francisco Medina Lopez (Panita) tearing it up in his (now) home, the Canary Islands this spring. Canarian rider Aitor Martin ripping around his home island in Torment Part 2. Filmed by Jorge Lekunberri and Ainoa Rodriguez. 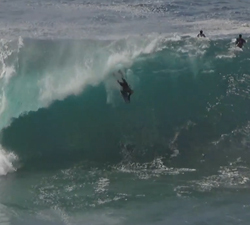 Canarian super-grom William Lujan absolutely slaying during this years winter/summer period. Shoot and edit: Pf Bodyboarding. 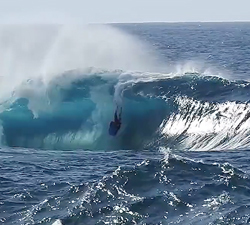 An action packed 5 minute clip featuring Canarian charger Carlos Sanz Jorge, going huge at home on Gran Canaria. Action from Portuguese rider Hugo Maduro during a recent trip to the North Coast of Gran Canaria. Shoot and edit: Jorge Lekunberri. A fresh edit from one of the best contests of recent times, The Fronton King 2016. Filmed and edited by Gary Ingelmo.